(See my previous blog post to understand why I'm in Venezuela and what the are Communal Councils that I was investigating). My last month in Venezuela was very fruitful. After sending out hundreds of emails to various government contacts and journalists, I lucked out with one response from a passionate political writer, Ramón E. Garcia S. (read his blog in Spanish) who's day time job is a computer network system administrator for the government tax office. He invited me to stay with his family in Bolivar City and to demonstrate my Dotmocracy group decision-making technique (Método “¿Que opinas?” in Spanish) to various government representatives and community organizers there. Two women discuss an idea part of a 65 person Dotmocracy demonstration for “Mision Cultura” in Bolivar City. Over my two weeks in Bolivar City we had many disappointments when meetings were cancelled or there was low attendance. We also had some great successes including a demonstration for the enthusiastic Communal Council of Marhuanta, a well attended workshop at the new socialist Bolivarian University of Venezuela, two mornings of demonstrations in a public school as parents signed up their kids for the new year, a small community leader training workshop, a 65 person demonstration for local representatives of “Mision Cultura” and we even got a short article with photo published in a regional newspaper. After big hugs goodbye to Ramón, his lovely family and his friends who tirelessly supported my presentations and investigations, I flew to Caracas for my final five days at the end of this six month adventure. 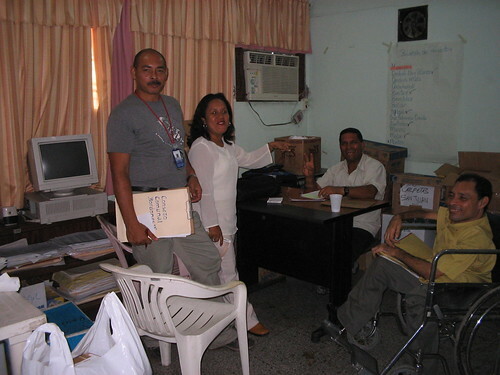 Thanks to some phone calls from Ramón, within two hours of landing I was able to walk into the Ministry of Popular Participation and Social Protection and present Dotmocracy to various coordinators that work with Communal Councils. The next day I pressed my luck and walked into the Fundacomun building in hope of meeting the director of education for Communal Councils, Iluska Salazar. After only a few minutes wait she was happy to see me. Apparently she had received some emails about my work and thus was not a total stranger to Dotmocracy. After a 20 minute chat she invited me to present my method in a workshop in three hours later. The workshop was for a group of facilitators who were part of a training-the-trainers pilot project in the La Vega area of Caracas. This was the pinnacle of my input into the Venezuelan revolution to date. If these people adopted Dotmocracy it could potentially be distributed throughout the country as part of the Fundacomun education activities. I also gave each contact a CD full of facilitation resources in Spanish. Overall I was amazed how much of the real changes were pursued by local citizens who were now empowered by a political climate change towards participation and support for community initiatives. I met a miner who helped people get new houses, a home-maker who coordinated upgrades to the infrastructure of her neighbourhood, an air-conditioning repairman who help get new health clinics built and a corner store owner who organized the construction of a community daycare centre. These were the people that made the revolution real. It's been about six weeks since I left Venezuela. I have heard from Ramón in Bolicar City that dotmocracy is being shared within the new United Socialist Party of Venezuela and was used for student consultations at the Bolivarian University. From my friends at Fundacomun in my original residence city of Cumaná, they say Dotmocracy is being shared there too. But really I have yet to receive any clear indication that Dotmocracy has been truly adopted by any groups. I keep my hopes high but my expectations realistic. I have been in the town of Cumaná on the eastern coast of Venezuela for four months now. Growing up in Toronto, Canada, I’m far away from home and everything I knew. While the climate and exchange rate are obvious pluses, I have had many a friend and stranger ask why Venezuela? Why go to a “developing” country known for its violent cities? Isn’t that where Hugo Chavez, the president, is a crazy dictator? Two kids in shanty town community of Simon Rodriguez in Cumanà, Venezuela. My answer is quite simple: I think a better future is dependent on participatory democracy, and there is no country in the world that has more of it than here. In Toronto most university graduates don’t know what the term “participatory democracy” means. Here I ask a taxi driver, seamstress or street cleaner and they explain it from experience. And they will also tell me Chavez is their popularly elected hero who is making it happen. Before coming here I had done much research on the different models of democracy. In most of the world we are quite familiar with the concept of representative democracy where we elect ministers, councillors, senators, directors and other political types to make decisions on our behalf. On rare occasion some places have some additional citizen participation in the form of referendums (e.g Switzerland, Australia, Canada, Ireland, New Zealand, Sweden) and ballot initiatives (e.g. in most of the US western states) or where folks can vote on specific questions to decide on potential change in public policy. If you are lucky you may live in a town where the mayor supports higher levels of public consultation on select decisions or maybe even practice participatory budgeting where citizen forums and comittees help decide a small portion of the city budget (e.g. Porto Alegre and many other cities in Latin America and Spain). 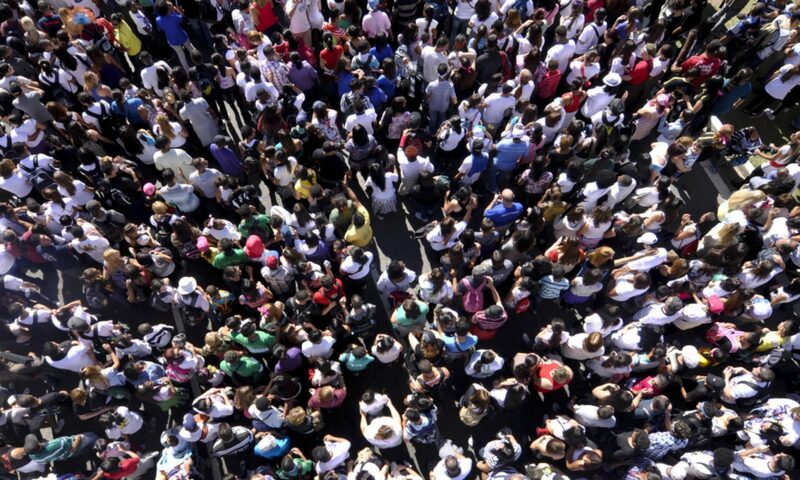 Venezuela has all the above but they also have what most of us would probably assume to be impossible: weekly citizen assemblies in every neighbourhood to discuss and vote on public projects and policies, known as communal councils (“Consejos Comunales”). You can read my detailed definition of Venezuelan Communal Councils on Wikipedia. To be clear, the communal councils are a new experiment within the evolving peaceful democratic socialist “Bolivarian Revolution” happening here. The law for communal councils was enacted in April 2006 and has yet to get the regulations needed to clarify the details of its practice. There are a guestimate of 18,000 councils, most of which are still in the early stages of formation, legitimization and learning how to conduct their work. Yet even before many councils are completely legitimized, many have already received funding and administered local projects to build homes, fix electrical systems, plumbing and other public works. In the Sucre state Funadcomun office. Fundacomun is the state agency responsible for educating and assisting the communal councils. From my plastic lawn chair in their 15 person office that administrates all 1300 and growing councils in this less populated state of Sucre, I can tell they have their work cut out for them. Every day spokespersons young and old from various communities come through the door asking for help on legal questions, problems accessing their co-opertive controlled bank accounts, neighbourly disputes and other council issues. All too often their are complaints of corruption, generally in the form of nepotism where some citizens take advantage of the chaos of the new system to give preferential deals to their family members. Unlike the million dollar offshore bank account corruption of the north or the old Venezuelan government, these local profiteers are more likely getting enough extra cash to buy a new TV and eat out at a fancy restaurant. But corruption is corruption and it could get worse. The community workers in the Fundacomun office are found of saying in their blurred eastern Spanish accent “¡En asamblea!” to educate and reinforce to their clients that the highest decision making authority is the assembly of citizens. What ever question they have about their communities future, what ever project idea or problem that needs resolution, what ever local policy or plan that needs to be decided, it is to be decided in the local assembly of citizens. Not a president, nor a board of directors, nor committee of executives. The mob rules. The problem is that how an assembly is supposed to make efficient and wise decisions is not every explained, and in general I don’t think anyone knows. A communal councils meeting about to begin. I’ve been apart of enough big meetings to know that when you put more than 15 random people in a circle they are generally not very constructive or wise in their collective decision making. With a professional facilitator involved you may get some decent deliberation and popular decisions among 30-40 participants. With high-end software, a team of consultants and technicians, and months of planning you can get hundreds of citizens to discuss issues and present policy recommendations (e.g. AmericaSpeaks’ 21st Century Town Meeting service). In comparison, communal councils tend to have between 50-150 citizens in attendance every week, the meetings are often conducted in the street, they don’t have enough budget for pizza delivery and they are expected to make concrete decisions on every important issue for their community. First I take my hat off to those communities that have succeeded in making any decisions in this context. They are blessed with enough comradeship, good natured neighbours, socially minded local leaders and obvious community needs to accomplish such amazing feats as building small community centres, installing public lighting, improving transportation and building new modest homes for the poorest of families. A shanty shack is being replaced by a new family home being built by the communal council. Also it must be said that unlike most of the North American assemblies I’m familiar with, these people have talked extensively to each other before the meeting. Venezuelans are fond of sitting in the street chatting with their neighbours who are are often family. Since most people don’t tend to move far from home there are generations of people who have had many a warm night to discuss and debate what’s right and wrong in their neighbourhood. No need for ice breakers and get-to-know-you games at these meetings. An average Sunday afternoon in a Venezuelan community. That all been said, these people are crazy to expect citizen assemblies to effectively make every important community decision. Sure it’s also crazy to elect some self-serving politician to misuse public resources for private agendas, with distant bureaucrats to make standardized and inappropriate decisions that are enacted at a snails pace, but at least we know that crazy and have some experience doing it less than horrible when you have a G8 nation’s budget to back you up. Or maybe they are not so loco. Maybe the leaders of the “Bolivarian Revolution” have confidence that with time and experience citizens will learn to harness their collective wisdom of crowds. Maybe they know that if you have thousands of community assemblies happening every day, at least some of them will learn to do it well and in time those functional models will get shared with all the other communities via the new community media systems they are developing. Maybe Venezuela is on the verge of demonstrating to the world a new model where every citizen is empowered to help define the collective direction of their community and politicians are joke of the past. That’s my bet. That’s why I’m here to witness and assist in this new model of participatory democracy. My main focus is to demonstrate at least one model of how citizen assemblies can more easily find popular and initelligent agreements using the advanced dotmocracy materials I have designed. So far I have seen one shanty town recognize over 30 agreements on how to improve their community in 40 minutes using dotmocracy or “¿Que opinas?” as it is known here (see case study, see more pictures). Not bad compared to the common trend of 3 hours and no agreements. But will it work in other situations with more challenging issues? Will dotmocracy catch on? These are my questions and my quest. Communal council members in Simon Rodriguez join me for a photo to celebrate the completion of their first dotmocracy session. That’s why I’m in Venezuela. I hope I’ll have more success stories to share soon. – Jason Diceman May 24th 2007. P.S. If you have simple Spanish group facilitation resources to share please send them my way and I’ll do my best to pass them on. You can also contact Fundacomun directly. I recently wrote and posted a complete article on Wikipedia describing Venezuelan Communal Councils. This new model of community based deliberative and participatory democracy is being intensively promoted accross Venezuela as the base of popular power in their effort towards demonstrating a new kind of “21st Century Socialism”. In April 2006 the Venezuelan government passed The Law of Communal Councils (consejo comunales) which empowers citizens to assemble, deliberate and vote on the creation of neighbourhood development plans and to elect local spokespersons to oversee their implementation. Meetings regularly include 50 to 150 citizens and are often convened on a weekly basis. Also special thanks to Josh Lerner for his research and contributions. I'll be inviting others to help revise the article and will add details as learn more from my research here in Cumanà, Venezuela.